Provides social work practitioners with guidelines for working with lesbian, gay, bisexual, and trans people interested in fostering or adopting. Although a growing number of LGBT people are applying to foster or adopt and are successfully caring for children and youth, they remain an underutilized resource. 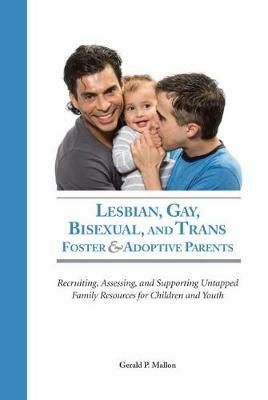 With a shortfall of foster and adoptive placements, and a national in the USA strategy to recruit and support foster and adoptive parents, agencies need to ensure that they do not prejudice lesbian, gay, bisexual, and trans applicants from coming forward as potential foster or adoptive resources for children and youth in need.